two profiles were found for Chicagowomenshealthcenter.org in social networks. Among other social networks the website is represented in Facebook and Twitter. 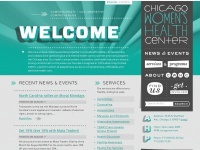 The web server with the IP-address 174.129.221.117 used by Chicagowomenshealthcenter.org is owned by Amazon.com and is located in Ashburn, USA. This web server runs a few other websites, mostly in the english language.